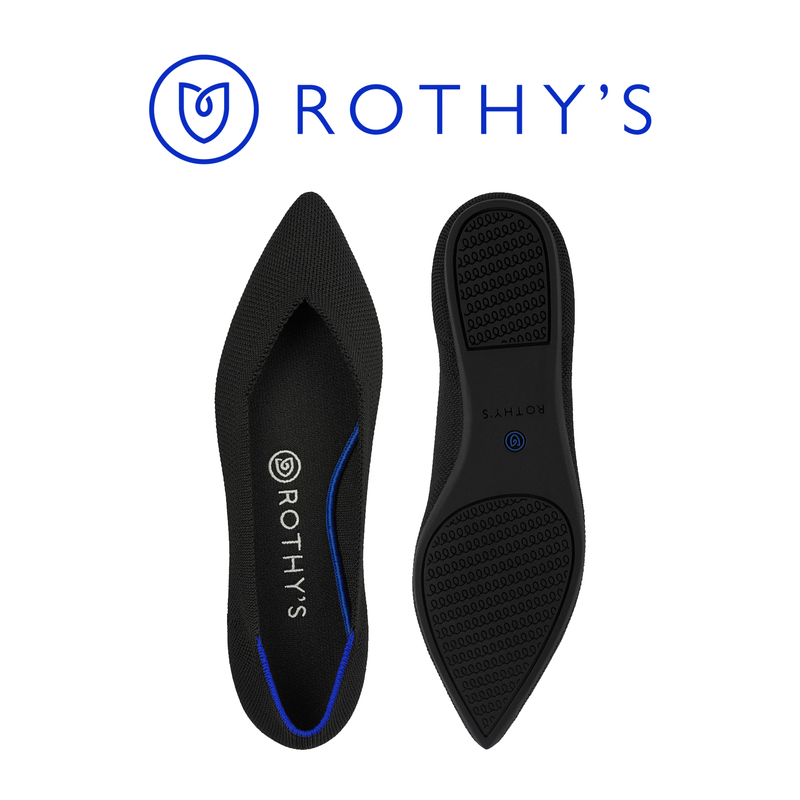 We are back with a couple of news bites to share. 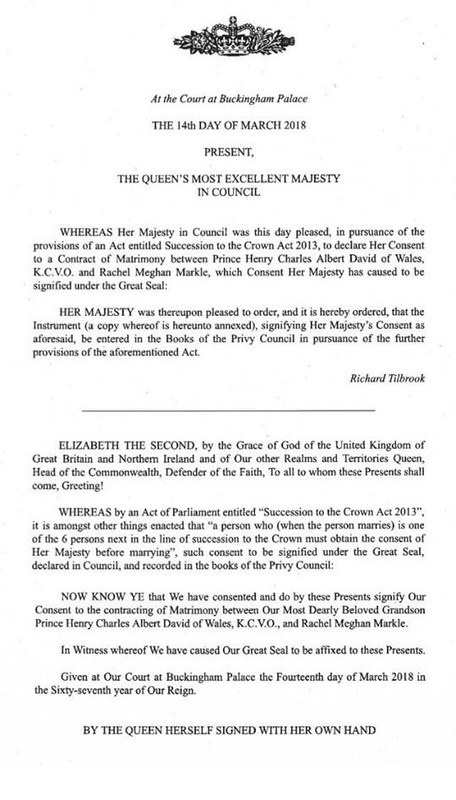 The first involves the Queen’s official consent for Meghan and Harry’s marriage, announced today. 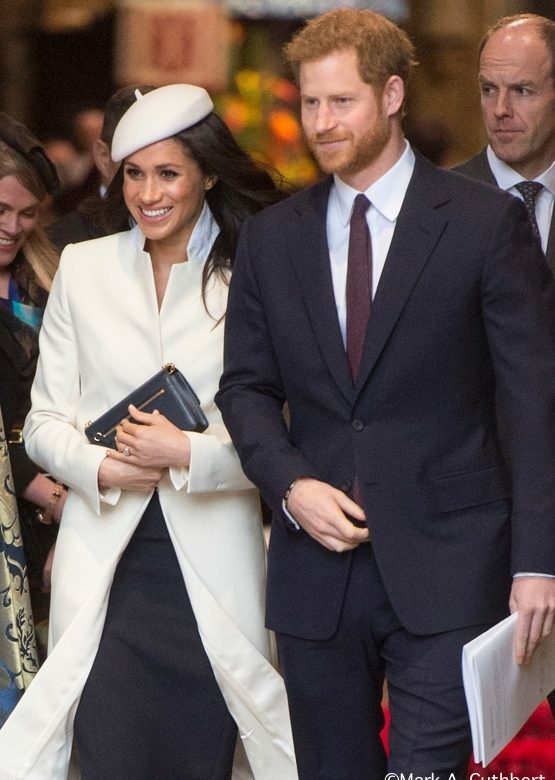 As Max Foster of CNN pointed out, there is more paperwork than usual when one is marrying into the Royal Family. There were quite a few comments on social media referencing the delight many had in seeing HM refer to Harry as “My Most Dearly Beloved Grandson.” That is also how the Queen referred to William in the consent for his marriage. 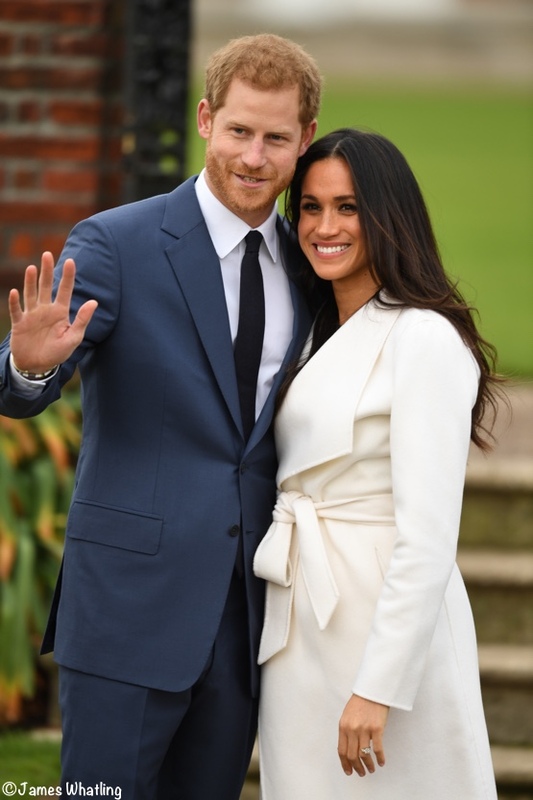 For hundreds of years, the Royal Marriages Act 1772 meant descendants of George II had to obtain the sovereign’s consent before they wed, otherwise their marriage was deemed invalid. …the new Act still required fifth-in-line Harry to obtain the Queen’s permission. 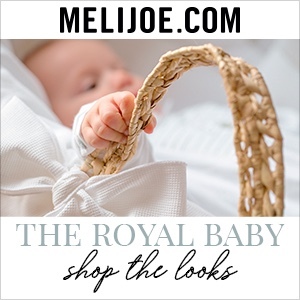 It restricted the consent to the first six people in the line of succession: now the Prince of Wales, the Duke of Cambridge, Prince George, Princess Charlotte, Prince Harry and the Duke of York. I have posted the full length decree at the bottom of the post (after the magazine covers) for anyone who would like to read it in its entirety. “The announcement comes as it was revealed Prince Harry took Meghan Markle to a secret meeting with traumatised war veterans that he says ‘shocked us to our core’. 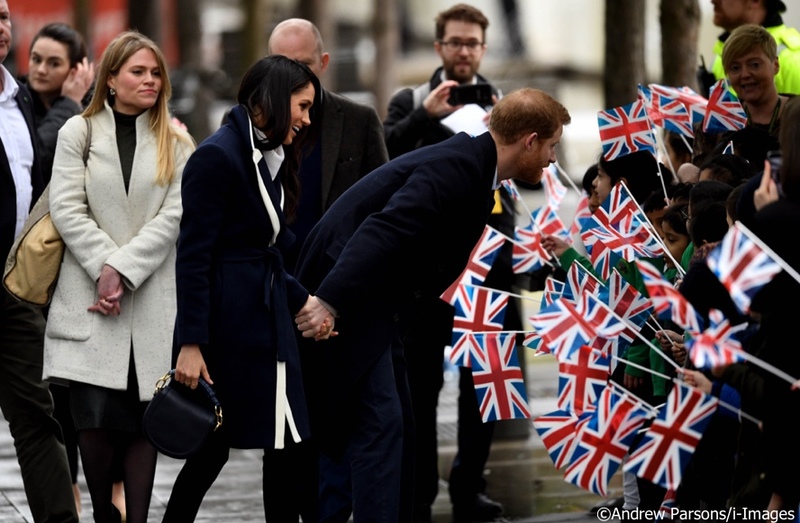 A few weeks ago he took Meghan, 36, to meet other former service men and women trying to get care for crippling mental health problems, as he was keen to introduce her to a side of his public work that held such enormous personal resonance. 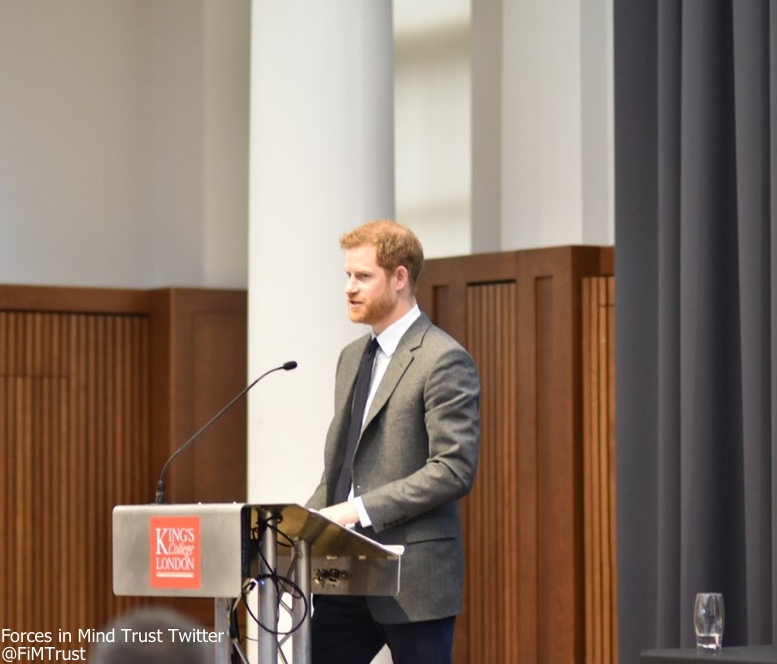 Harry spoke about the experience today at the Veterans’ Mental Health Conference in London, where he delivered the keynote address. 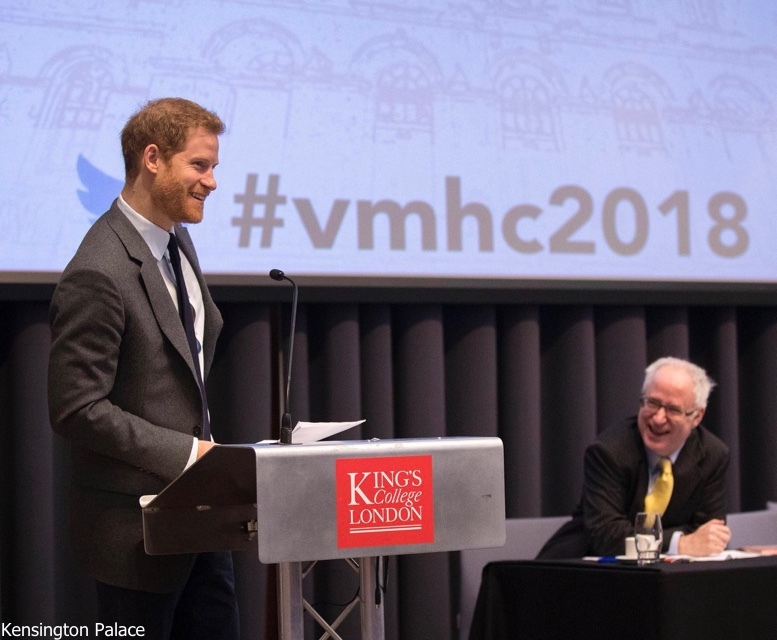 His comments – at the Veterans Mental Health Conference at Kings College London – came as he insisted “military service is enriching and good for society”. Meghan has been holding private meetings with charities as she prepares to carve out her own role in “The Firm”. But Harry wanted to show her an area of his own work that is close to his heart after his own time serving in Afghanistan. Harry was an Army officer for ten years, and knows of what he speaks. The project Harry and Meghan went to see in Essex is designed to give veterans all the help they need in one place. You can watch the full 11-minute speech here or on You Tube. 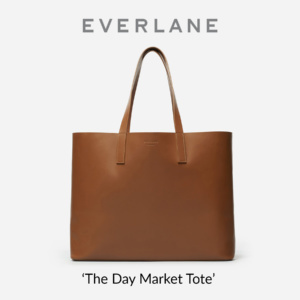 We have a couple of quick notes from our Retail Roundup page that may be of interest. 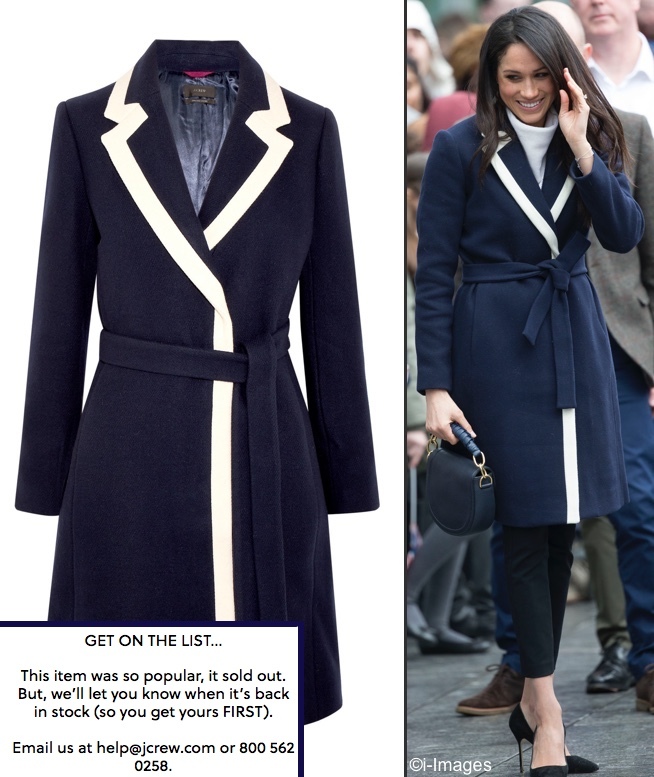 The Tipped Topcoat in navy and white that Meghan wore in Birmingham is available for preordering ($298) at J. Crew. Email help@JCrew or call 800-562-0258; you could always try an online chat, although that’s not one of Crew’s recommended ways to pre-order the coat. 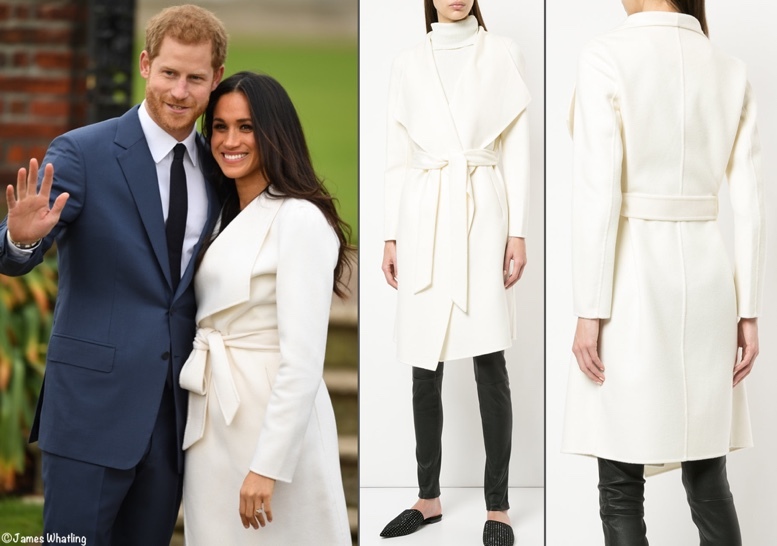 Meghan’s LINE the Label coat worn for her engagement photo call is available, renamed ‘The Meghan.’ The piece is 100% wool in the ‘winter white’ color way, and is available at Farfetch ($739) and also at Shoptique ($795 / £595). 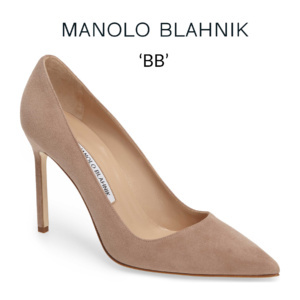 (It has already sold out at Shopbop). 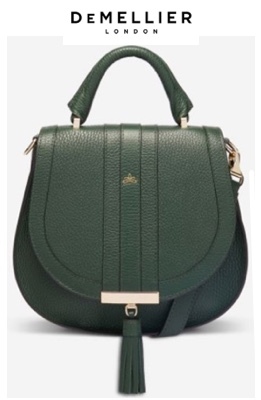 A big thank you to Carly of Meghan Markle Style for the tip on this! Our final tidbit involves Meghan’s first dedicated staff member, Amy Pickerill. 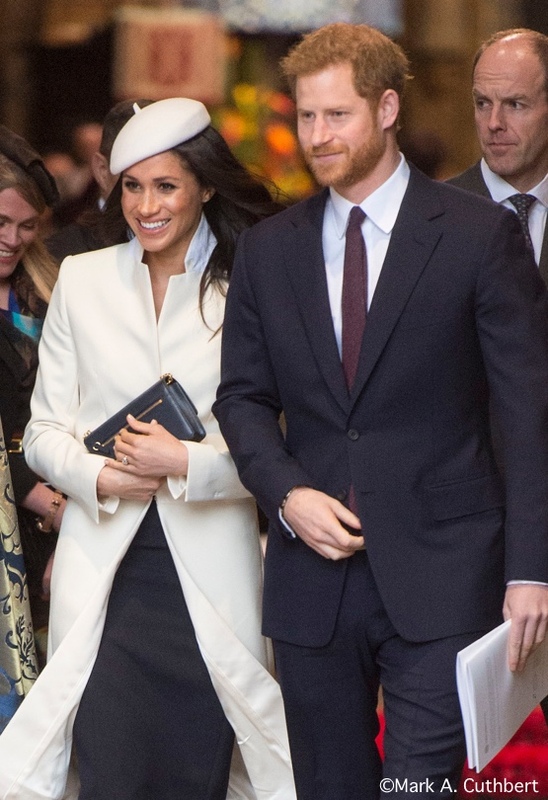 She is Meghan’s new private assistant secretary; previously she was a communications officer at Kensington Palace, so she brings experience to the position. There is a People profile here; you may enjoy this HuffPo UK piece. Below you see her on the left during the Birmingham visit last week. This is not hot-off-the-presses-news, the announcement came at the end of January. But we thought the appointment merited coverage, as we will probably see Ms. Pickerill quite a bit going forward. We’ll close with two terrific covers for Meghan. On the left, the March 26 issue of Hello! Canada, and on the right, the March 26 issue of People. For those interested in the consent process here is the full document. 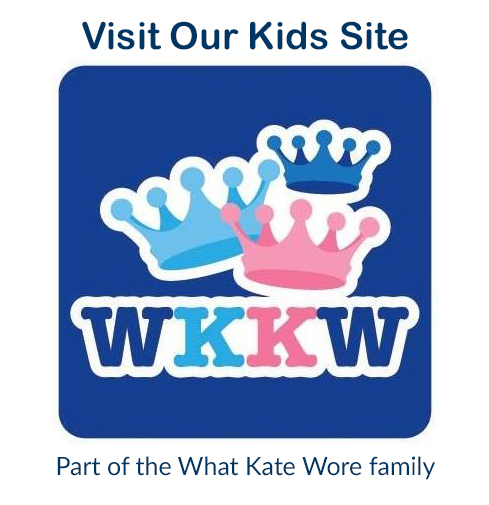 Thanks for the lovely update WMW! I did try to pre-order that JCrew coat but wasn’t able to however they have a summer weight shirt dress very similar to this coat that I was able to order and will receive in June. 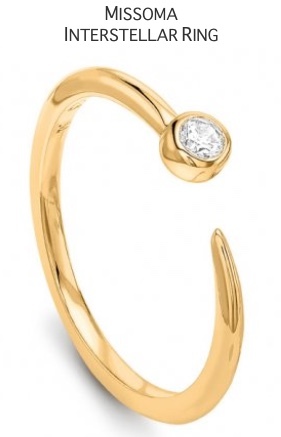 I really can’t wait to see Meghan’s spring/summer style! 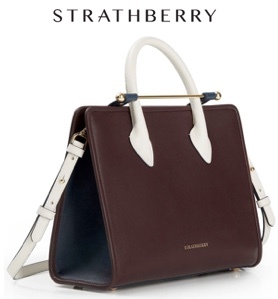 I imagine spring/summer is where we will start seeing more color in her working wardrobe and even dresses. Lovely. Take that, anyone who thinks the Queen doesn’t approve. I know right Brenda! 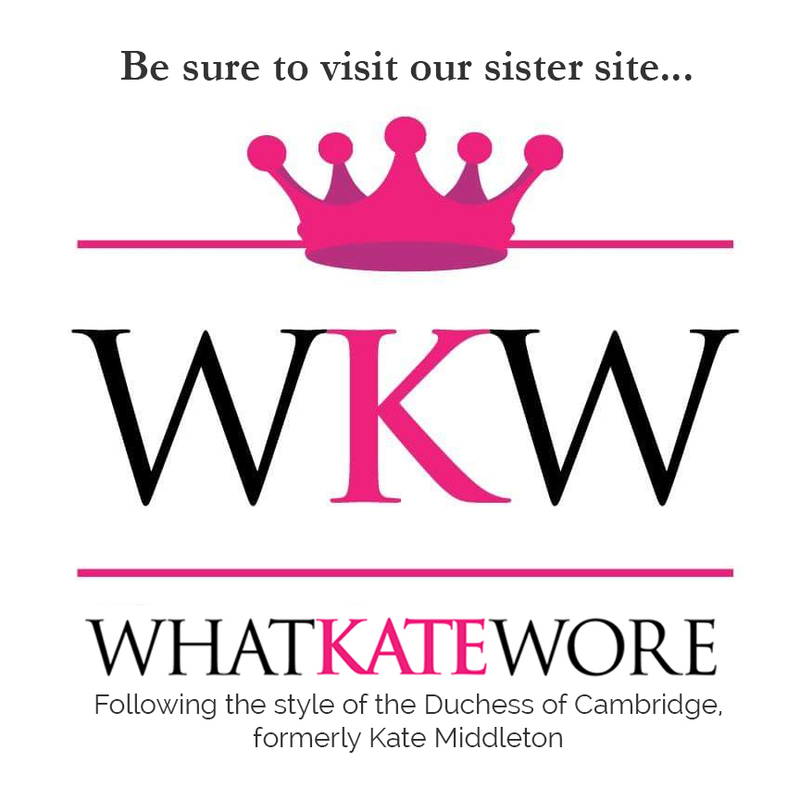 It’s so frustrating to see other sites make a big deal about the lack of “trusty and beloved” in front of Meghan’s name when it was the exact same with Kate when this same letter came out 2 months before she married William. 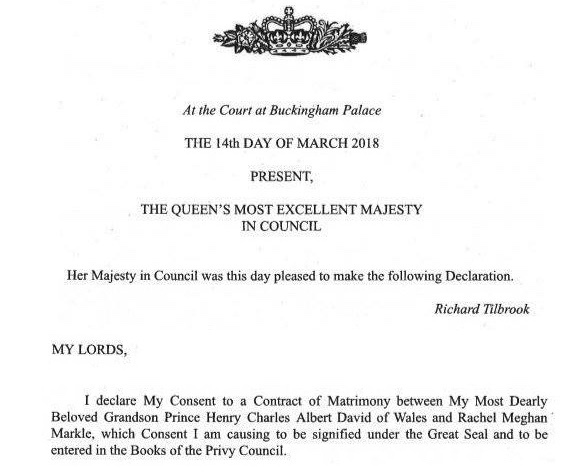 The “trusty and beloved” came on the more ornate Instrument of Consent that was issued about a week before their wedding and I expect the same to happen with Harry and Meghan. Sorry for the little rant, it’s just so, so , so maddening to see people perpetuate the idea that the Queen doesn’t approve by false means and those that don’t know their royal history take the falsehoods at face value. 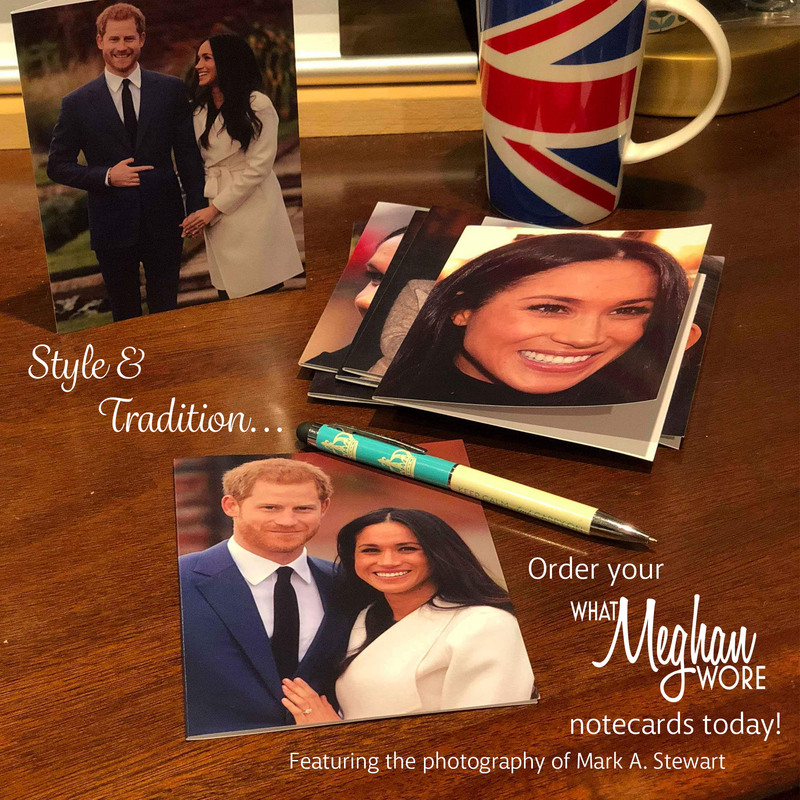 The wording “trusty and well-beloved” is only used for the Queen’s subjects, so Meghan as an American won’t have it on any document. It has nothing to do with liking her or not. As for the deniers, some people believe in little green men on Mars. Doesn’t make it reality.